SAP COPA is a sub module coming under CO module. PA stands for profitability analysis. As the name says COPA module in SAP acts as a strategic & financial reporting tool for analyzing the profitability based on different segments. View COPA tables, Transaction codes and PDF tutorials. The segments can be based on different user inputs like country wise, customer wise product wise etc. So an organization can easily analyse the profit output based on the data from SD, MM & CO module. Also the reports can be generated based on Costing or accounting or both.In the beginning stage this module is used for only strategic analysis, but later it became a financial reporting tool also. Here is a sample COPA report for your reference. Two sub components of CO-PA module are flows of actual values (CO-PA-ACT) & Tools (CO-PA-TO). 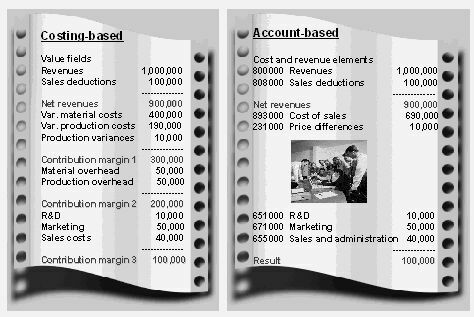 Two types of COPA in SAP are Account based & Costing based. This tool is used by top level officials in a company, to take strategic & financial decisions based on the COPA reports.